To Diffuse or not to diffuse? 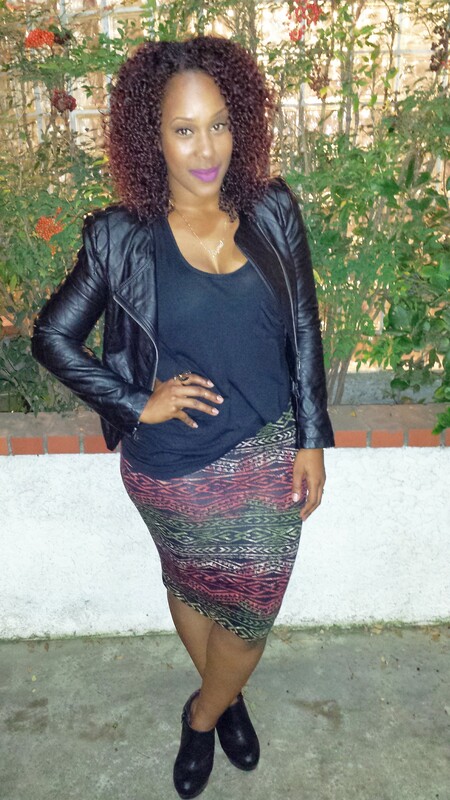 I’m a wash n’ go kind of gal and I always diffuse my hair! 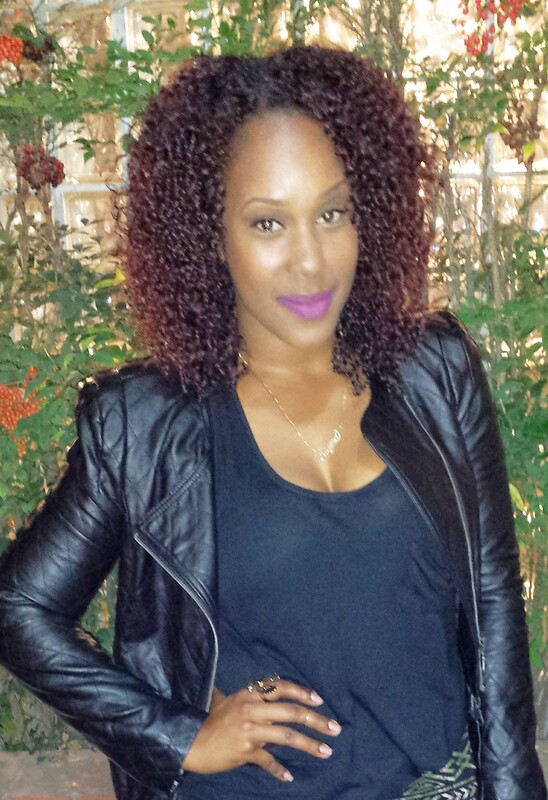 Diffusing gives me volume, makes my curls tighter and sets my style so that it can last for days and days. If I air dry my hair it’s flat and it takes a FULL day for a complete air dry, and ‘ain’t nobody got time for that!’ lol. I discovered a diffuser years back watching Taren Guy on Youtube. Many of you naturals know exactly who I’m talking about. I ran out and purchased a diffuser attachment from my local beauty supply and never looked back since. HOWEVER! 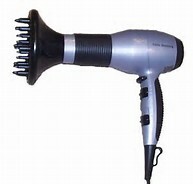 A universal diffuser attachment compared to an actual hair dryer that comes with their own attachment is ideal. I get better results with my diffuser and I lucked up and got mine from Big Lots for $20. I’ve dropped it SEVERAL times by accident and have used it for awhile and it’s done me well! 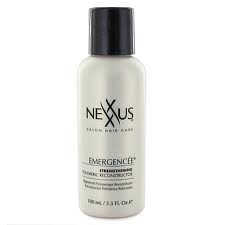 – After wetting your hair and applying your favorite leave-in conditioner let your hair air-dry 50-60%. 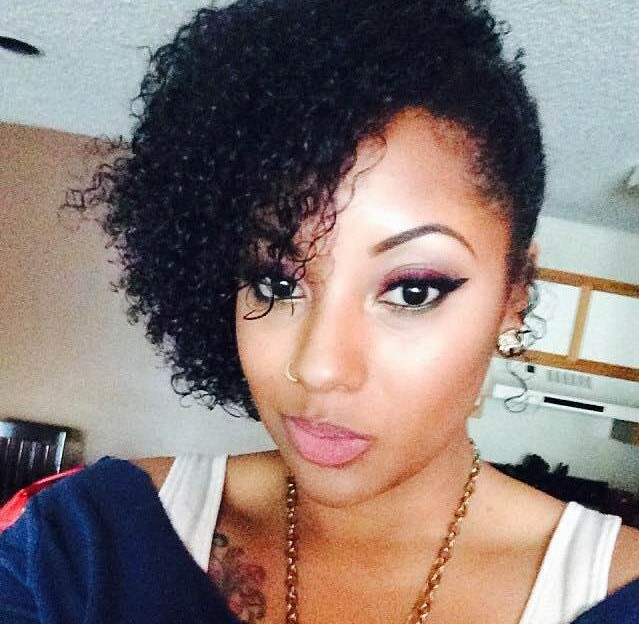 This will allow your natural curl pattern to form. 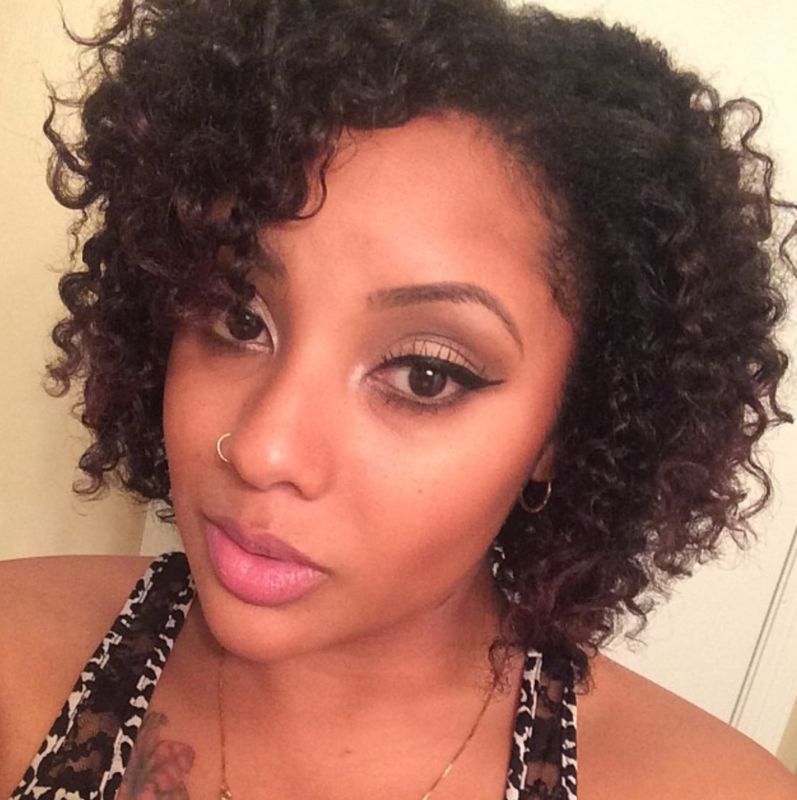 If you normally have to scrunch and manipulate your curls to create a pattern begin using your diffuser earlier. 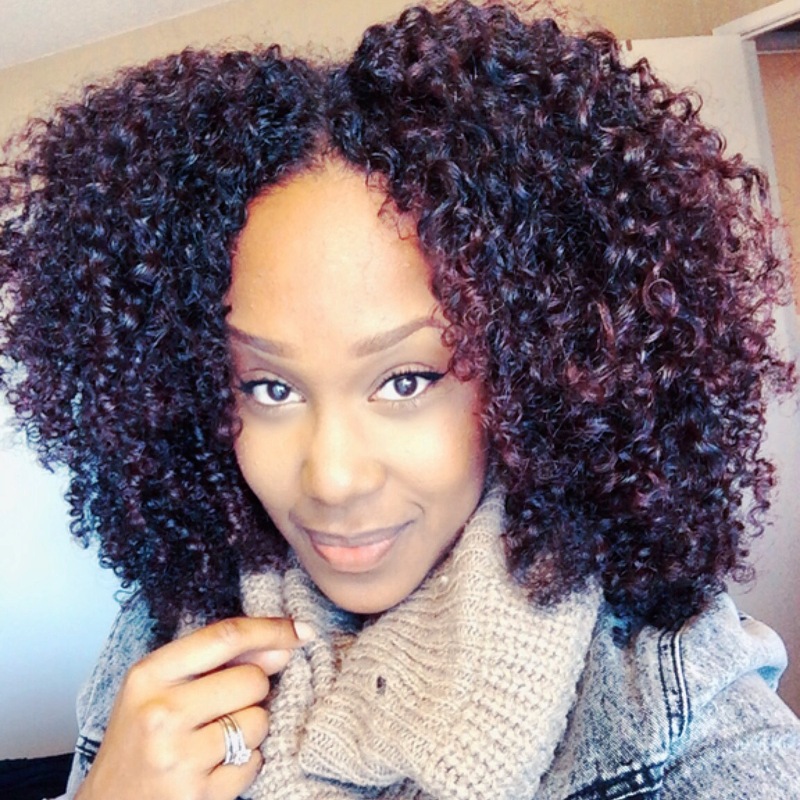 The diffuser’s bowl-like shape and prongs aid in the formation of a spiral curl pattern creating tighter curls. The tightness of the curl depends on how close you hold the diffuser to your scalp. Tip: Before diffusing try to wait 30 minutes or so..this will help your hair to set and get a little bit of drying time taken off your diffusing time. I also like to get a 100% old cotton t shirt and wrap my hair up to soak up more water and excess product. Now, unfortunately I get crunchy curls. BUT! You can eliminate this…I make sure to use my COOL SHOT button which will close the hair shaft locking in moisture and eliminating frizz. I then detach my diffuser attachment and use my cool shot all over which give more fluff and allows me to also make sure my hair is completely dry! I take Sweet Almond Oil and I apply it from root to tip scrunching the crunch out and fluffing for my volume. I then section my hair and taking my diffuser off, I begin to STRETCH my hair using the tension method. 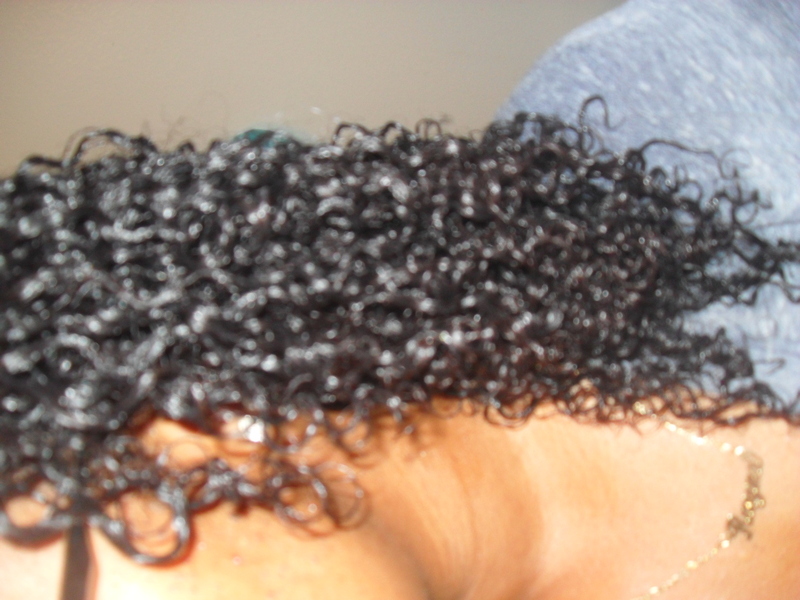 You can read about stretching natural hair for wash n’ go’s in previous post….here. So the question is…to diffuse or not to diffuse? – Obviously that’s up to you! I would definitely try it out a couple times before making your decision. 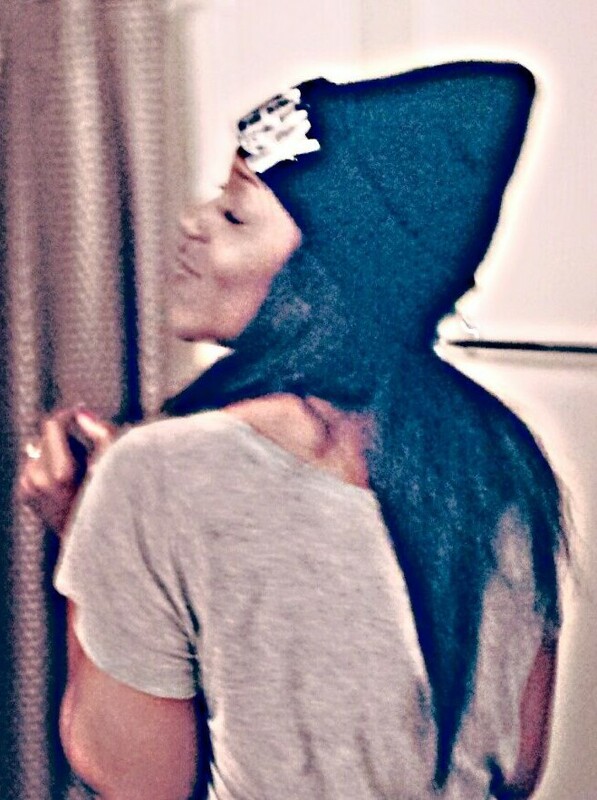 When I first diffused I hated my results! It wasn’t until I kept using it and learning how to use it properly. It takes me about 20 minutes to fully dry my curls. Stretching adds another 3 minutes, fluff and go! Are you a diffusing type of gal or an air dry type of gal?? Any suggestions to getting good air drying results? Let me know! 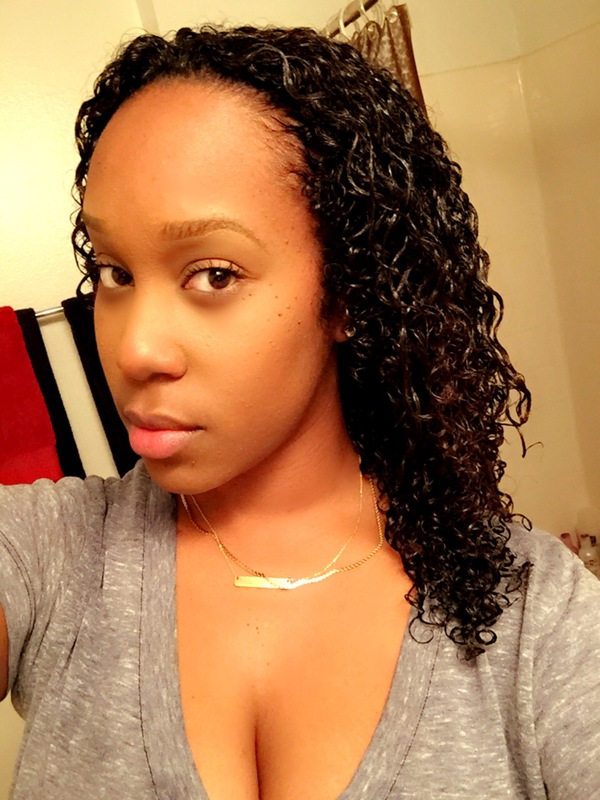 Shrinkage: 4 Ways I Stretch My Wash n’ Go’s! Besides heat damage, shrinkage is one of thee most disliked things that happens to our hair in the natural hair community. 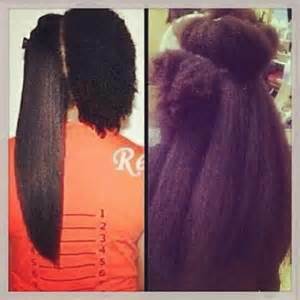 Shrinkage gives off such an illusion and it’s almost something as naturals we can’t avoid without manipulation. 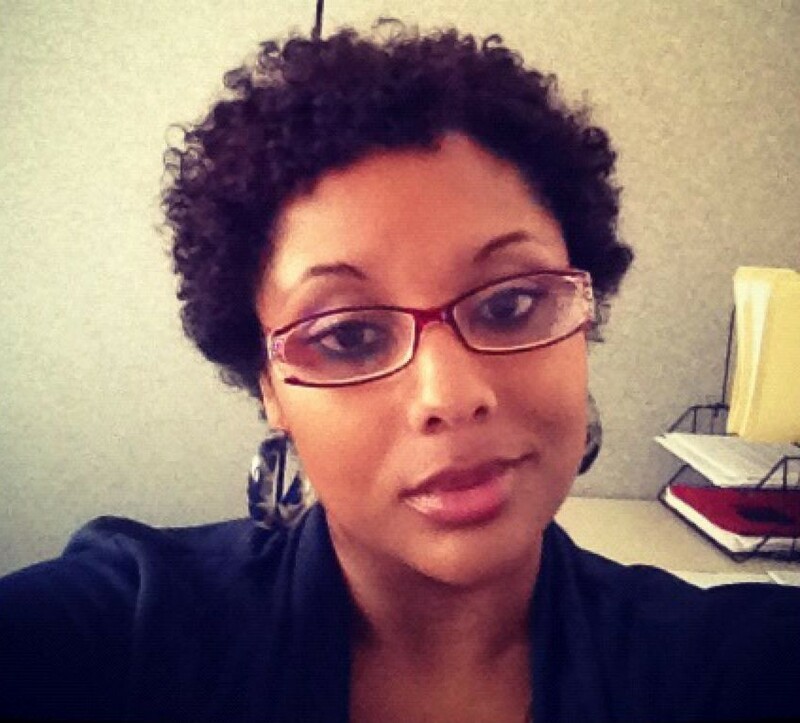 Yes, there are techniques and ways to combat shrinkage but ultimately it comes with the territory of having natural hair. I’ve learned to work with it, and embrace it. But, I admit I sometimes wish I didn’t have it. I usually stretch my hair with a blow dryer if I desire that look. 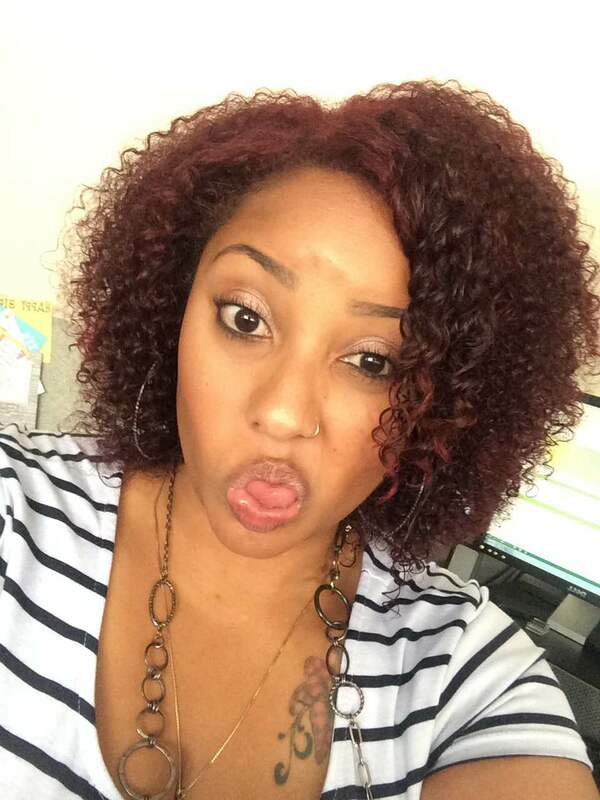 About 99% of the time I wear my curls in a wash and go, LOL. I usually do not do twists, braid outs and etc. 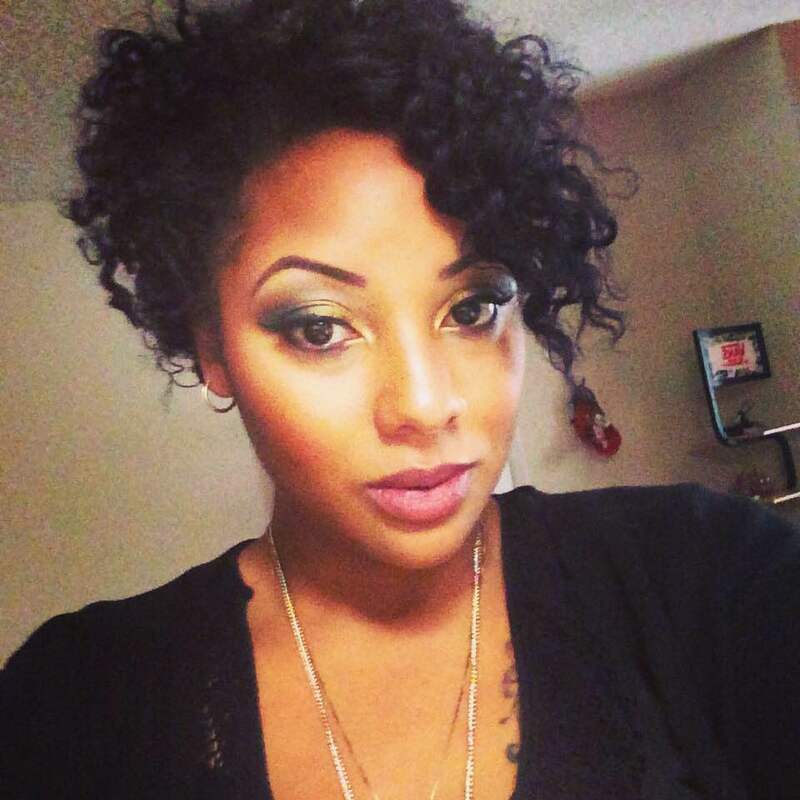 I wear my curls down, in a high curly puff or top knot bun. 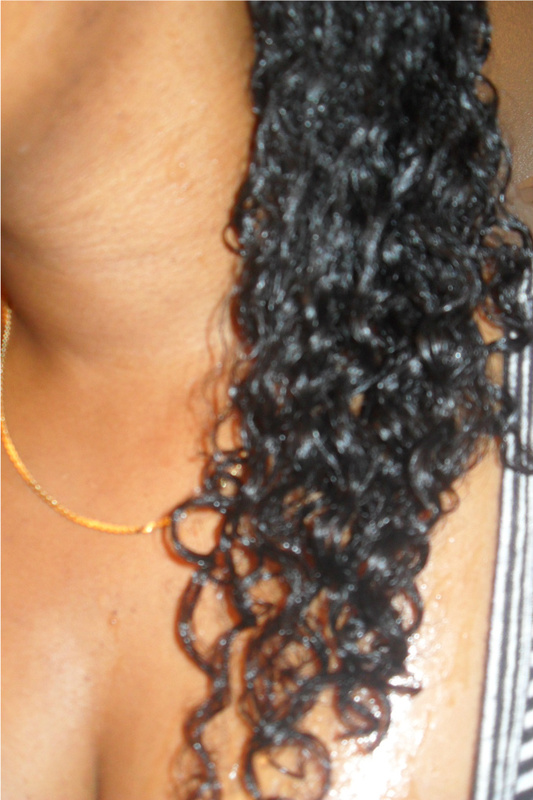 I find that wearing my curls with no manipulation (braiding, twisting etc.) is something that I enjoy and is convenient for me. 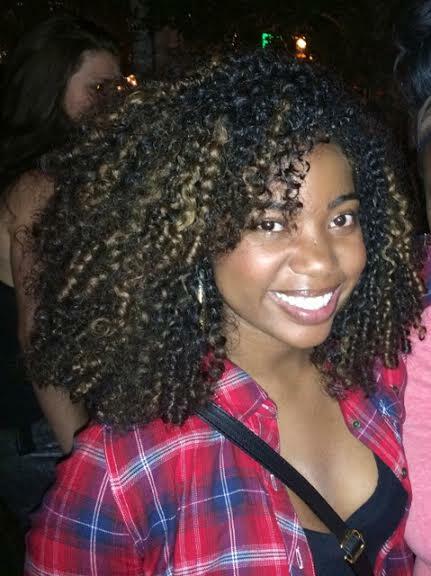 I wore braid outs and twist and curls when I had damaged hair that didn’t curl up. BUT! Now? 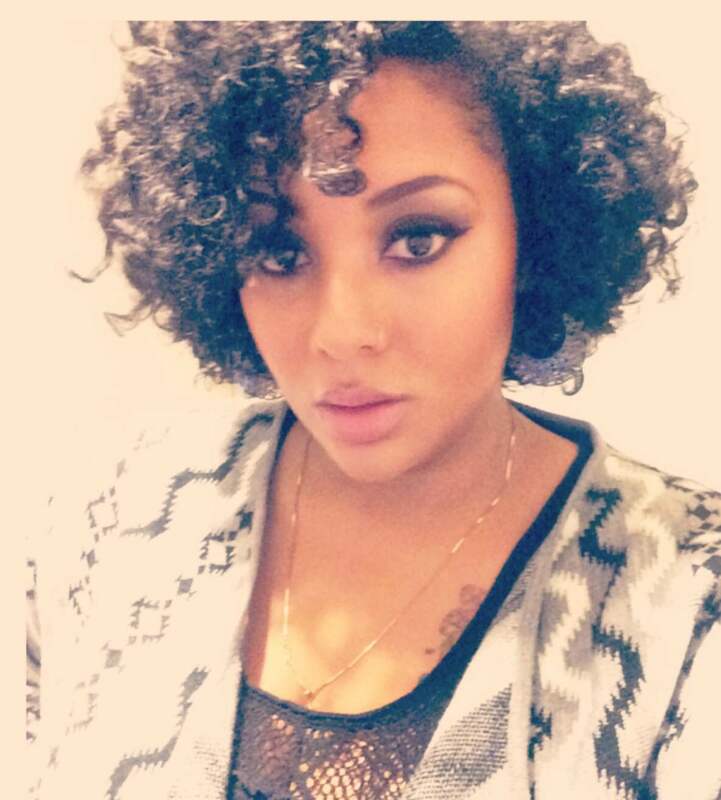 I LOVE my wash and go’s! This method you take small sections starting at the back and gripping the ends taut while running a blow dryer on warm heat up and down the hair. 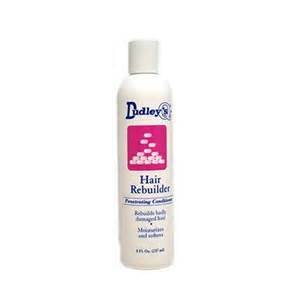 This allows for your hair to soften if there is any crunch from product and allows for more length. 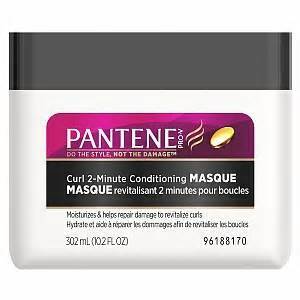 I use either a LOW heat or COOL setting when doing this to minimize heat damage (which is rare) and frizz. 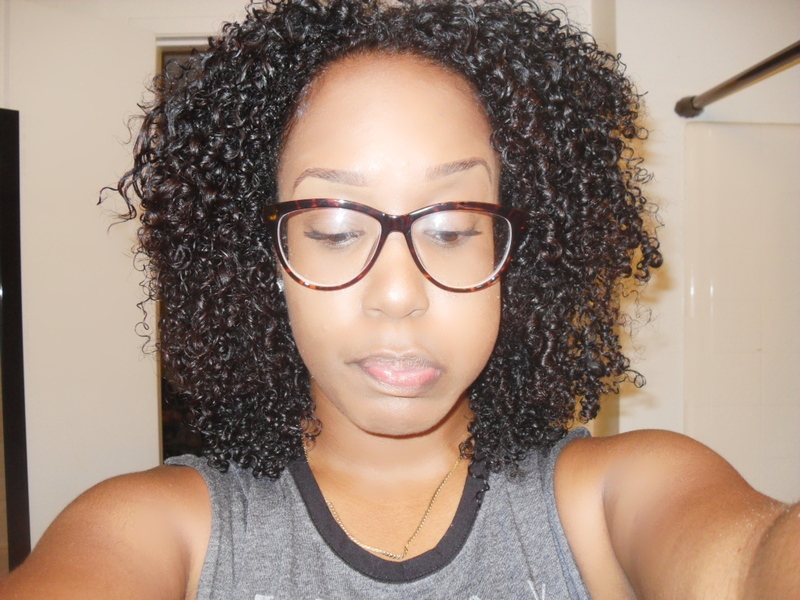 Un-stretched tight curls after diffusing…blah! …and as the days go on its getting bigger and longer! I usually can get about 5 days with my wash and go’s! 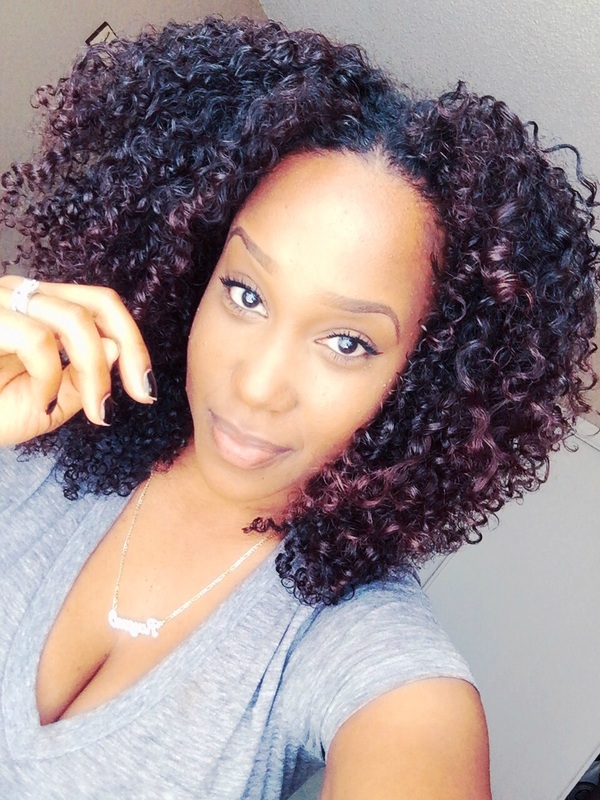 This is the technique I use after diffusing my curls…take a look! 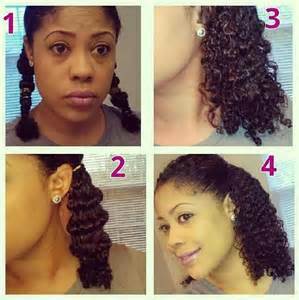 This method is awesome for women who want the “look” of a braid out with out the braids and super stretched hair! You section your damp or dry hair, apply product of your choice and get a LOT of ponytail holders and start to place them tightly along your hair shaft all the way down to the ends if you prefer for a super stretched look. It’s an easy way to stretch your hair AND flatten your roots with out heat to wear it out, or begin to prepare it for straightening. 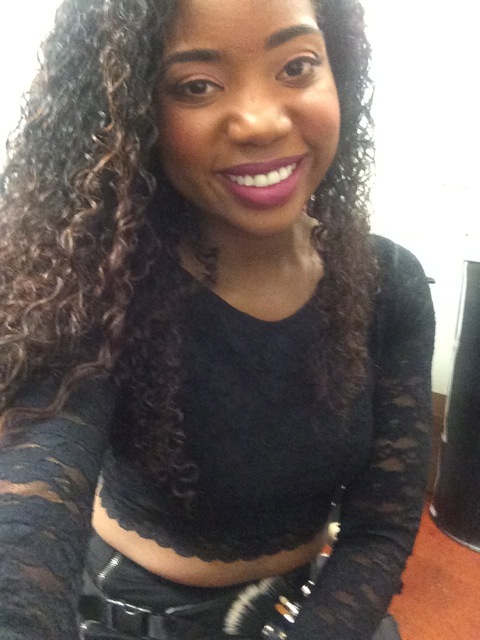 I tried this a couple times and like the results of loose waves and stretched hair. (3.) Stretching with butterfly clips! I’ve tried this method a few times and it worked for me! 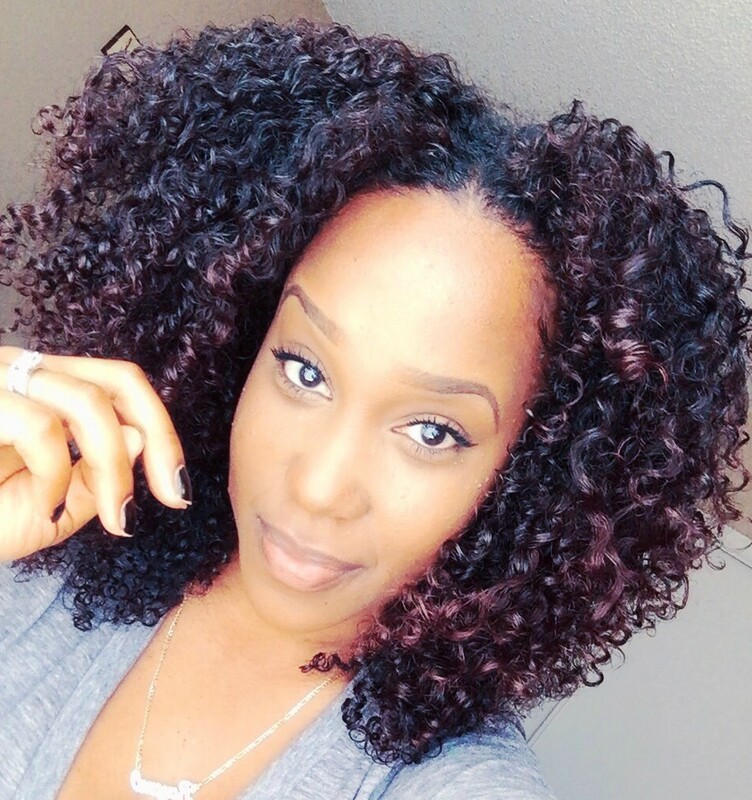 This method you would take butterfly clips (you can find at beauty supply stores) and while your hair is wet after applying your styling product you would take the ends of your hair and clip them to your shirt while you’re diffusing or air drying your curls…want an example? (4.) I pineapple! Do you? The infamous pineapple. This is how I sleep every night with a satin scarf and a satin pillowcase. My hair has a tighter curl pattern in the back, by doing a pineapple at night, while I workout and around the house allows for my curls to be stretched. I also do this on first day hair if I have some time to do so! 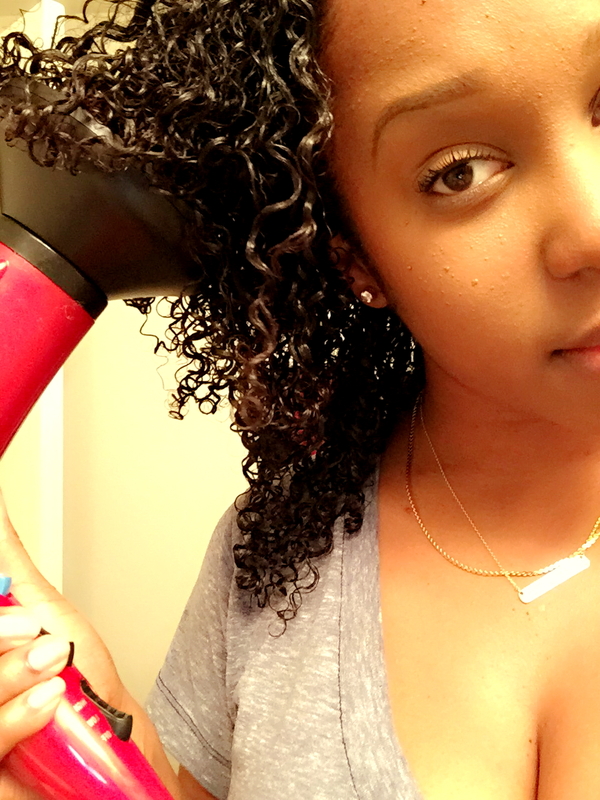 Great heatless way to stretch those tight curls! 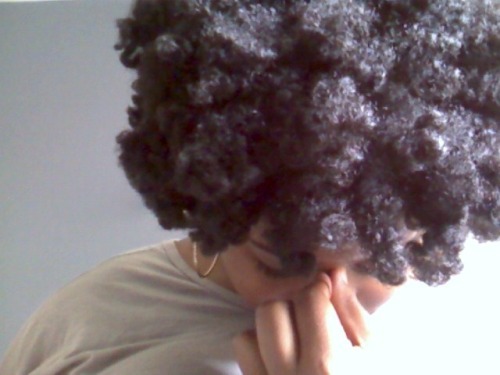 Shrinkage is such an illusion. 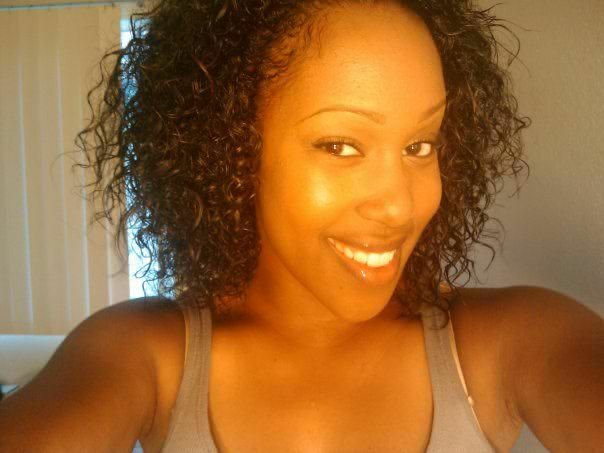 Some of us naturals have TAILBONE length straight hair but shoulder length curls. You can try to combat it as much as possible, but learning to embrace it is easier if you ask me! If you suffer from it terribly then use methods listed above OR YOUR OWN to your liking. 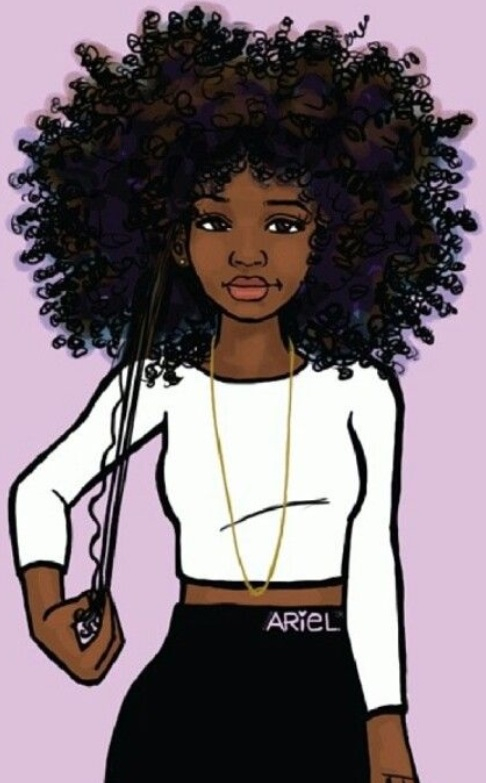 Shrinkage is a sign that your hair is healthy, so don’t get too upset about having it :). I like fuller hair so I work with what I got, and I hope you do too! 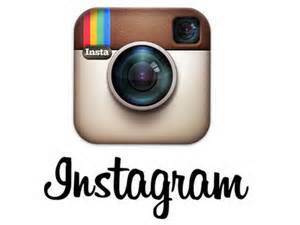 Have a topic you’d like me to blog about? Let me know! 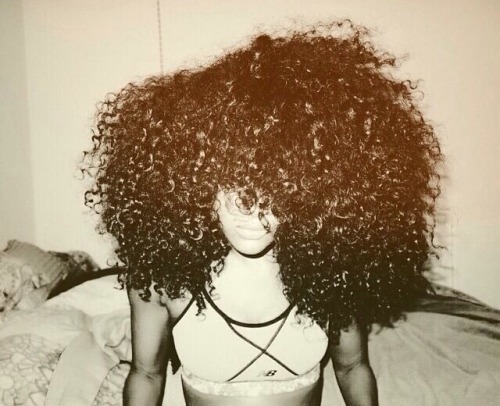 Do You Know Your Hair’s Porosity Level? Dry hair but always moisturizing? It may not be your products…read on! Take a strand of your hair (preferably hair that shed) and place it in a glass of water. Observe how your hair responds to being immersed in water. 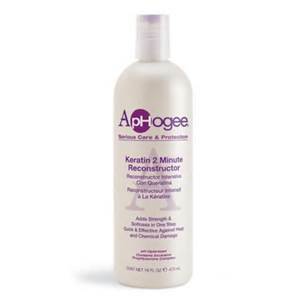 High porosity hair will sink quickly to the bottom, therefore it easily absorbs water. 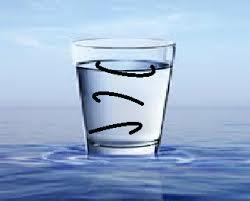 Low porosity hair will take a long time to sink to the bottom of the glass of water, if at all. In this case, the hair is unable to absorb the water. 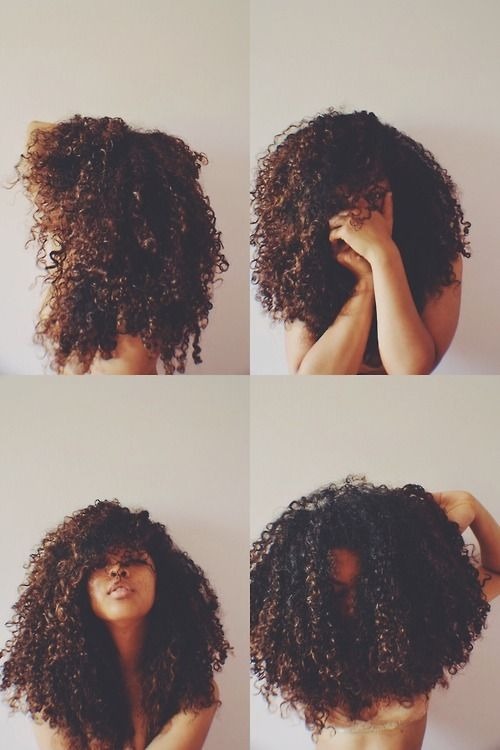 High porosity hair has a difficult time retaining moisture and might be an indicator that your hair is damaged. 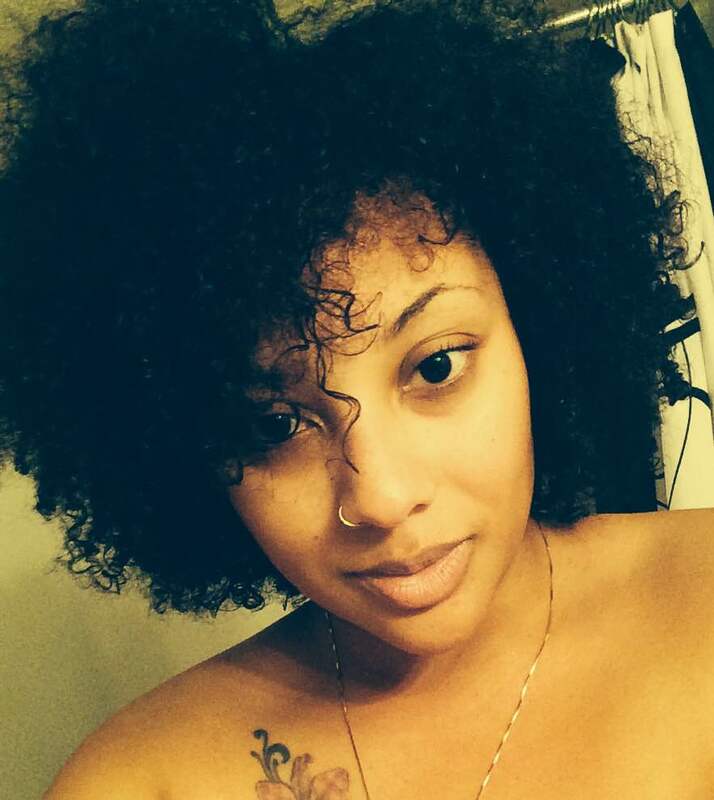 With high porosity hair it’s important to properly moisturize your hair. You should focus on creams and butters and making sure you seal in as much moisture as you can by layering. It’s important to close your cuticle to retain moisture, you can do this by trying an ACV (apple cider vinegar) rinse and always rinsing your hair with cool water. Your best friends are protein treatments. 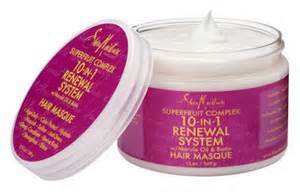 Protein helps to fill in the holes in your hair, by replenishing and restoring your hair. 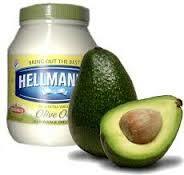 Protein is not moisturizing so it’s important to see how your hair reacts and how often your hair needs one. If you use too much protein, your hair can become too hard and brittle. 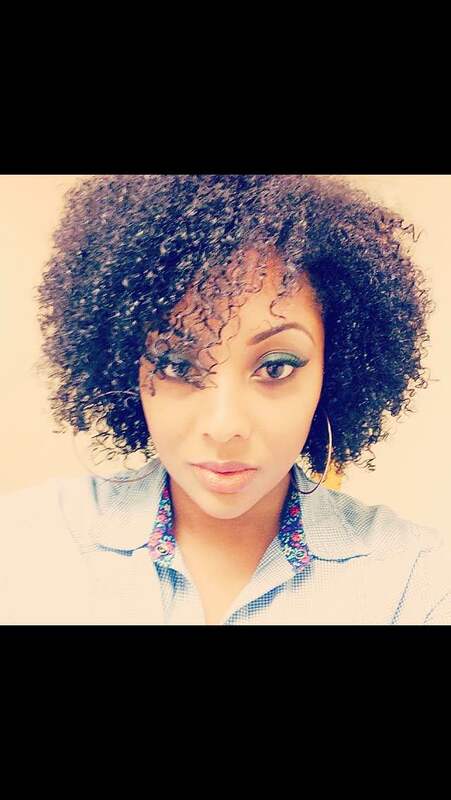 Low porosity hair is much harder to moisturize since it is more difficult for moisture to penetrate the hair shaft. 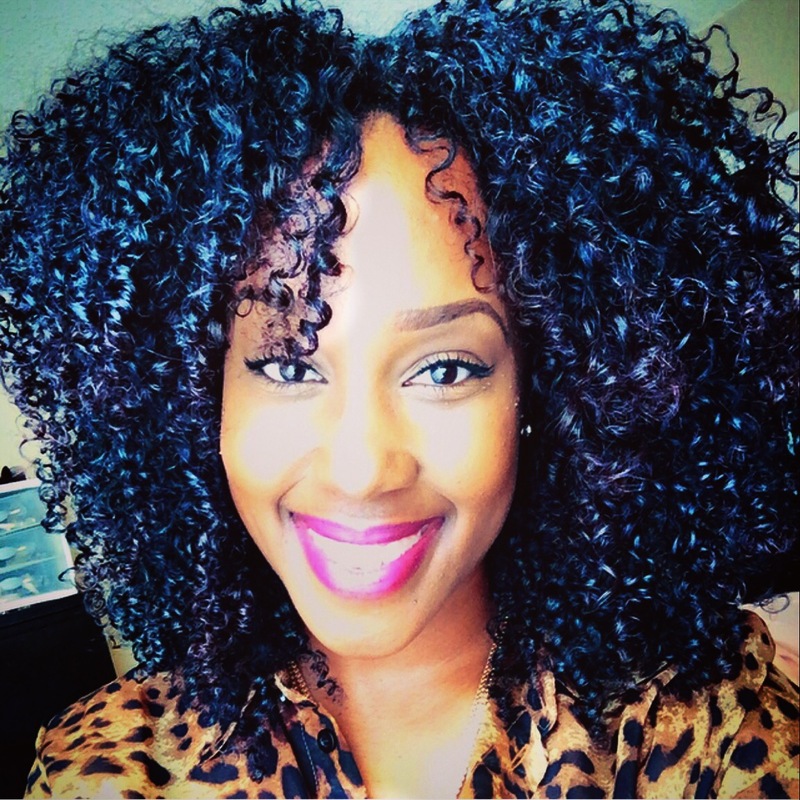 Low porosity hair has a hard time absorbing water. 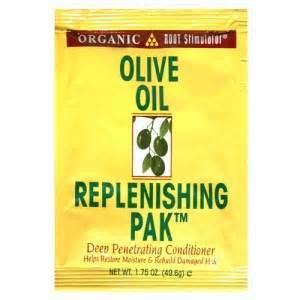 It’s important to deep condition with HEAT. Heat will open up the hair shaft allowing moisture in. 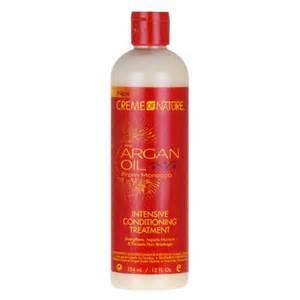 Another good alternative is steaming your hair. 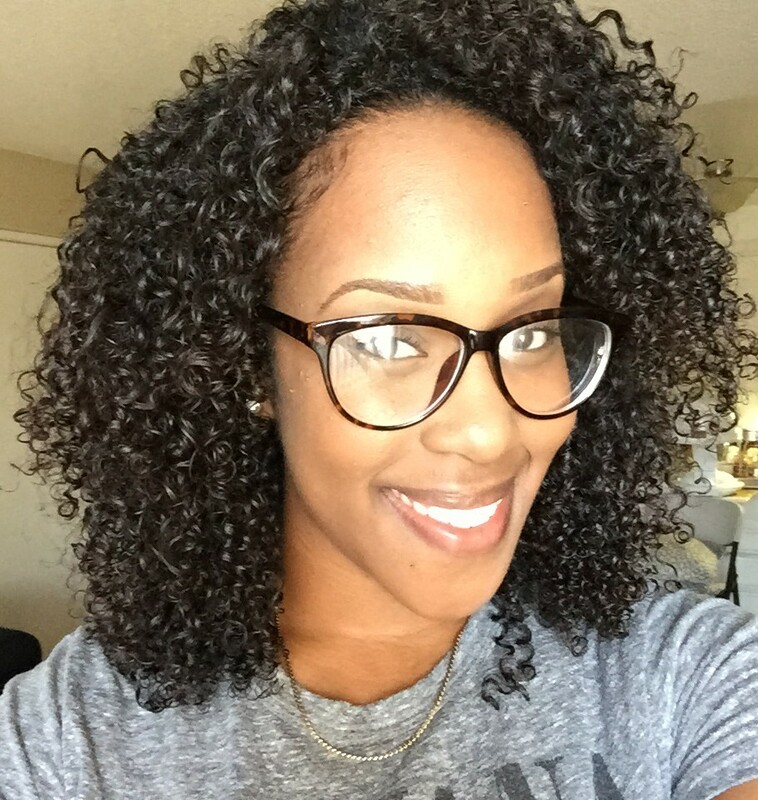 Make sure to clarify your curls at least once a month (I use Suave Clarifying Shampoo). Co-washing is great, but you still need to clarify your hair with a clarifying shampoo to rid your hair of product build up. If you have low porosity hair, you should be looking for water based moisturizers and sealing with a light oil like coconut oil or jojoba oil. 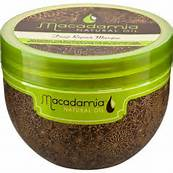 Medium porosity hair is easily moisturized and retains its moisture level well. If your strands fall in this category you have happy curls which should make you a happy girl 🙂 Continue with moisturizing your hair and do what works for you.